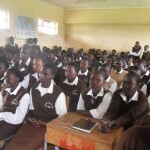 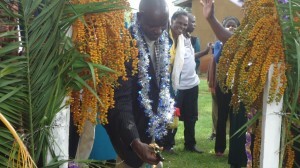 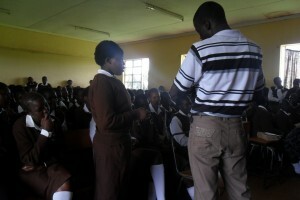 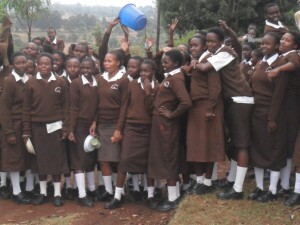 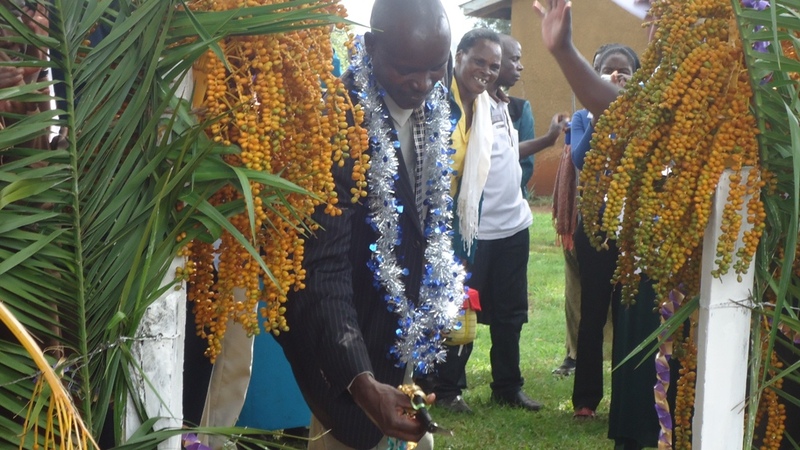 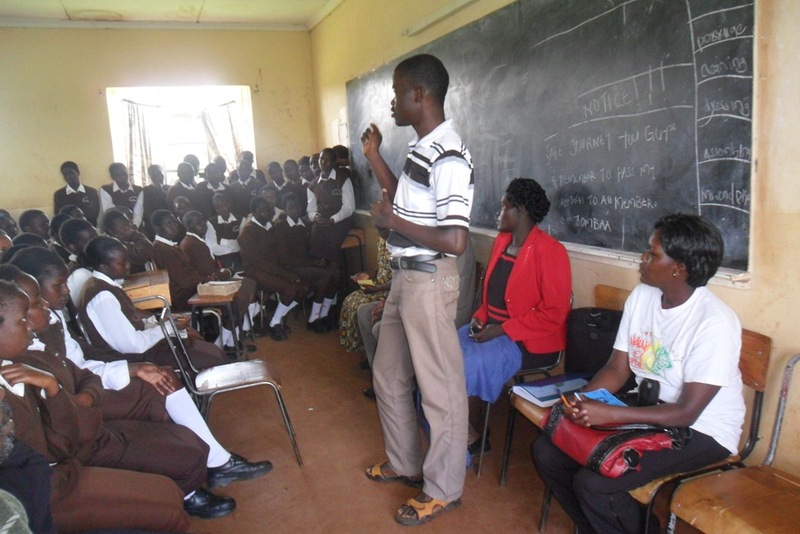 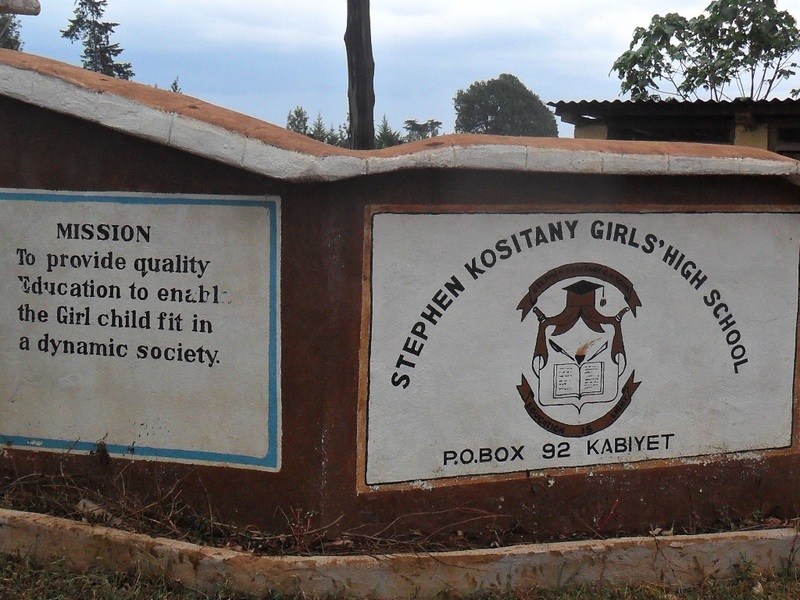 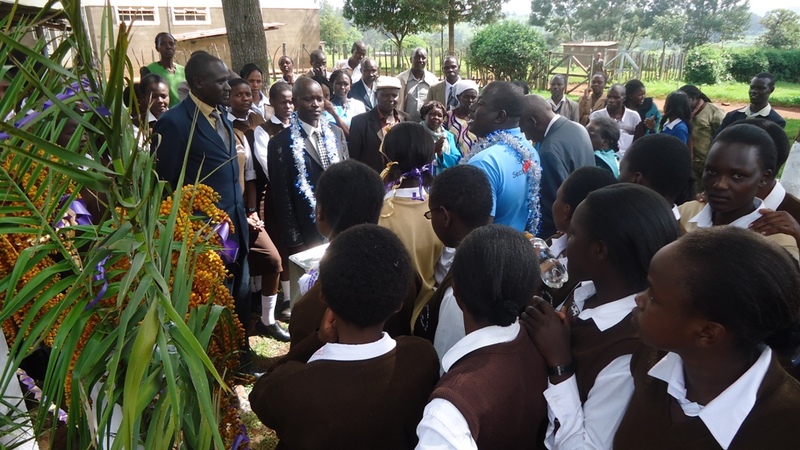 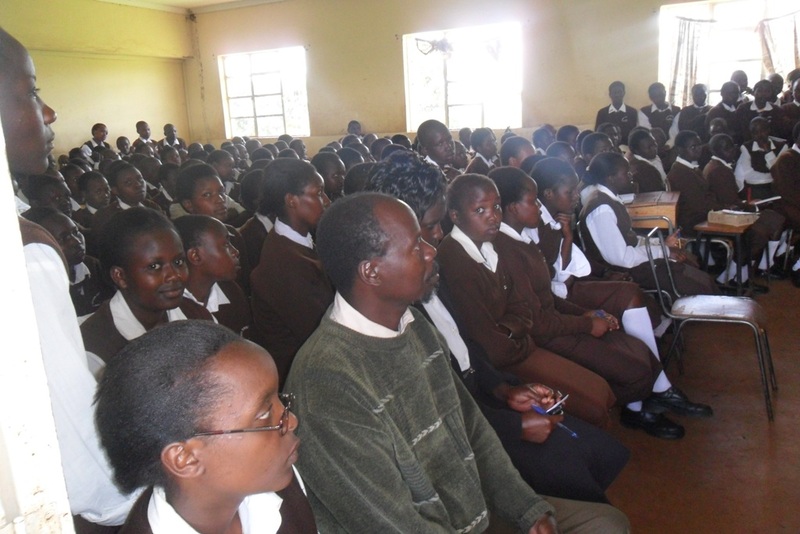 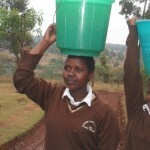 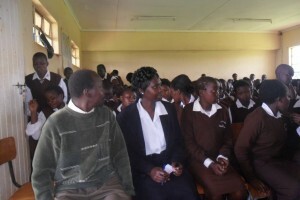 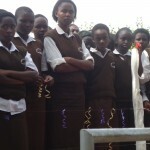 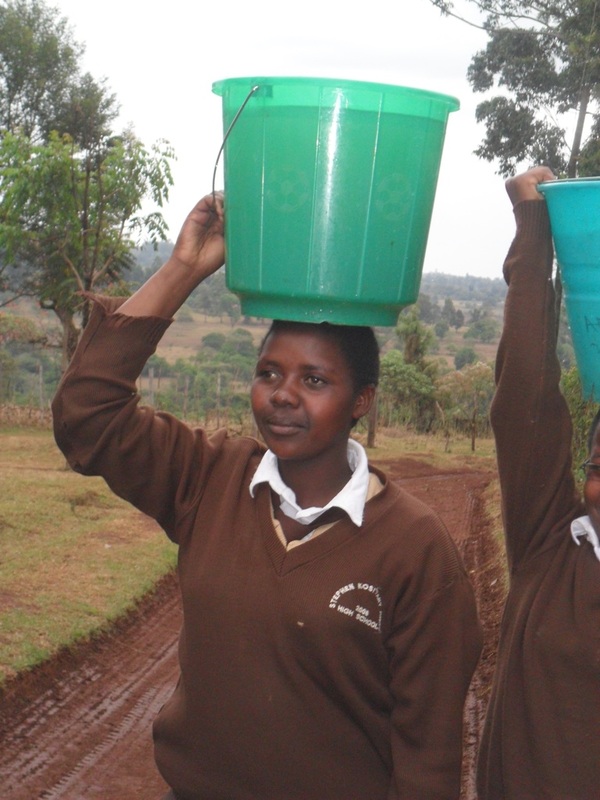 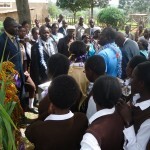 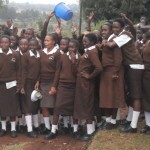 Stephen Kositany Girls is double-streamed provincial full boarding secondary school found in Lolkeringet village, Lolkeringet location, Kabiyet Division of Nandi North district in Nandi Country. It is a Public school with the current enrolment standing at 291 which is below the required capacity of 320. It has a teaching staff of 20 members 14 of whom are residents whereas the remaining six operate from their homes. 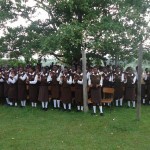 This is due to the shortage of staff houses within the school compound. 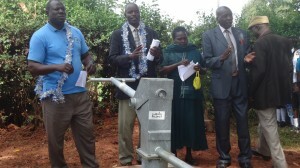 It also has a support staff of 13, two of whom are residents. 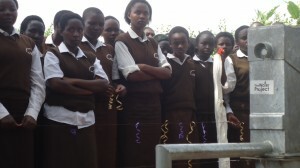 The school keeps some cows which produce milk for consumption by the students. In the light of the number of people residing within the school and about ten heads of cattle, theirs is a great need for constant and reliable supply of clean water. 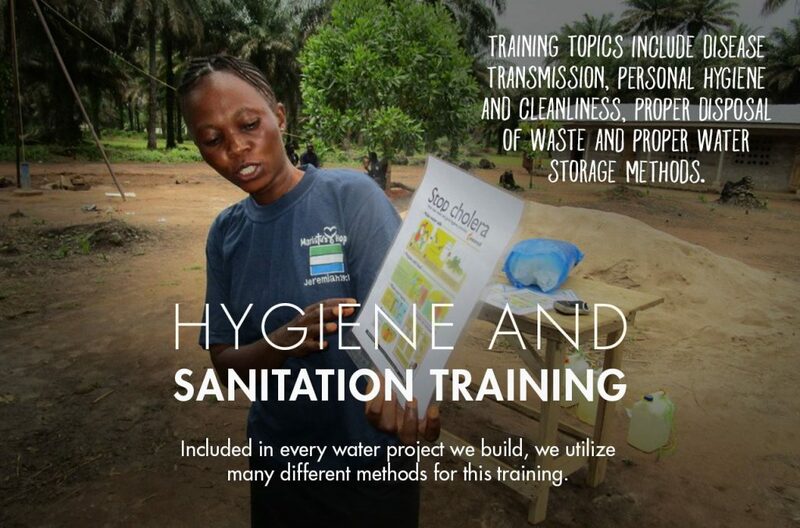 Currently, the students and teachers are forced to go to the river to fetch water for their daily cleaning needs. 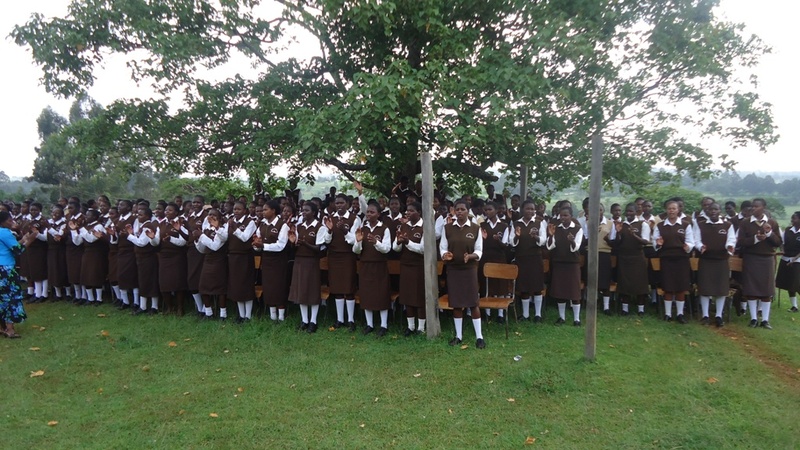 The river is about a kilometre away from the school steeply sloped and covered by trees and bushes. 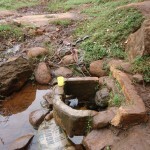 The staff however uses the water collected from the river for cleaning, cooking and even drinking. The water collected from the river poses lot of risk .One such risk is that it’s a flowing river which some villagers bath upstream; animals drink from the same river and at times children are found swimming in the same stream. 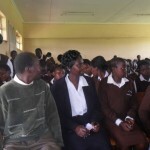 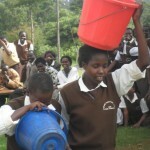 The students and the staff have on several occasions been treated for typhoid and other water borne diseases. 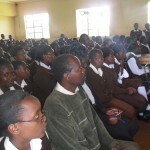 This is a serious health concern. Going to the river is also a waste of a time which would have otherwise been spent constructively in the school. 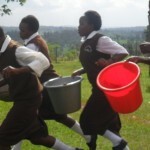 Because of the slope and the queue when fetching water, students take up to one hour to come back to school. Some of events in the field are not done or given less time so that the students can get enough time to go to the river. 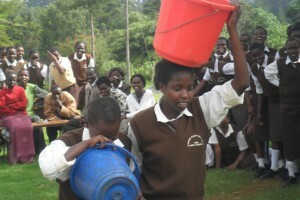 In addition, student’s personal preparation time is limited as most of the time is spend to the river. 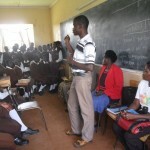 Teachers also spend a lot of time going to the river. 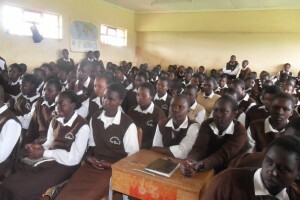 The time which they would have otherwise spent in marking the students work, preparing for the next day’s lessons or even coaching students in the field. 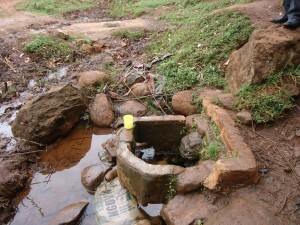 The mere act of going to the river does not only rob the teacher of the valuable time but also demoralises them. 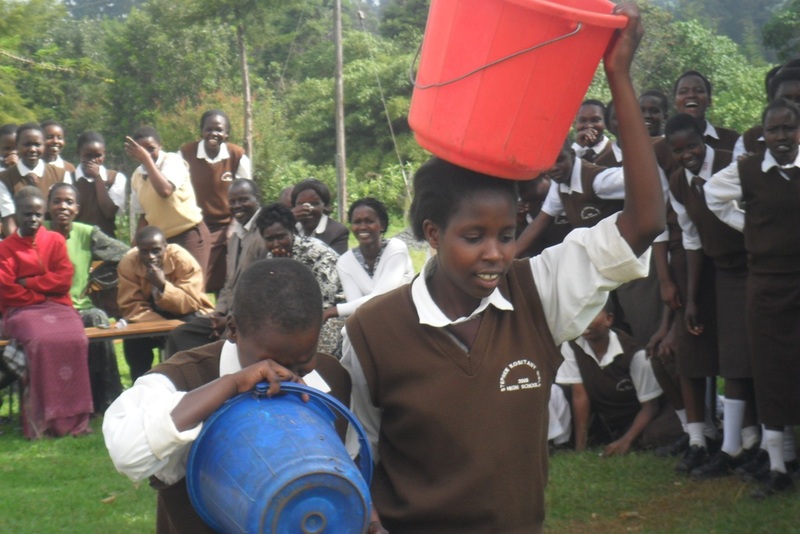 Standards of cleanliness within the school are compromised by lack of adequate supply of water. Students are expected to utilise the little they get from the river to do their personal cleaning and reserve some to clean their dormitories, classrooms, latrines and the school kitchen. 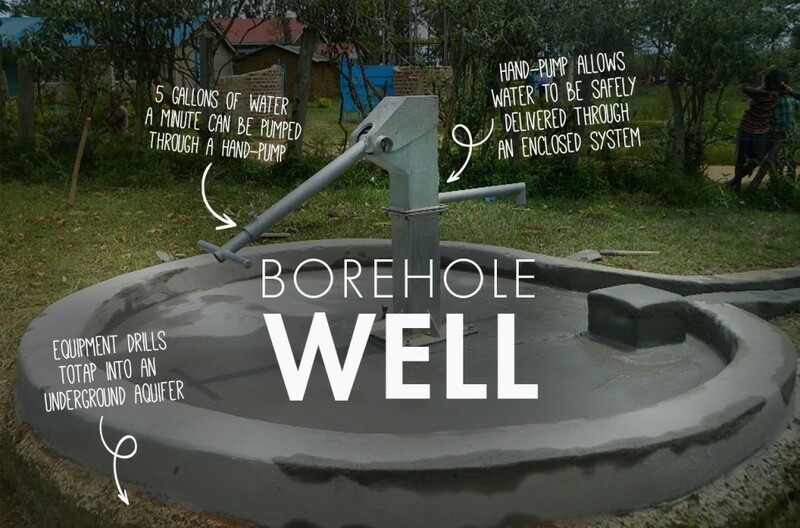 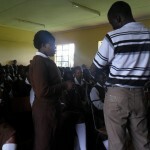 The school where the well is proposed has a population of 291 students and 20 teachers. 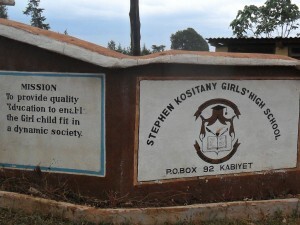 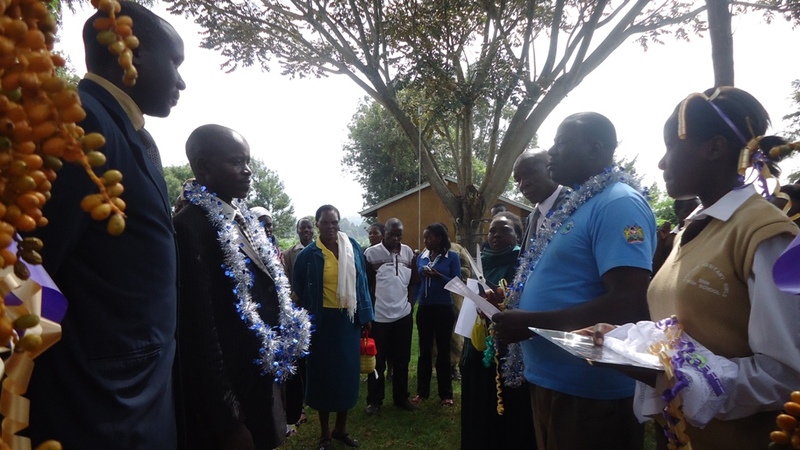 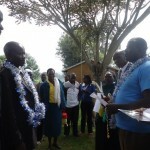 The school has four latrines for the pupils and two for teachers. 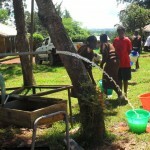 They clean them every morning despite the scarcity of water. 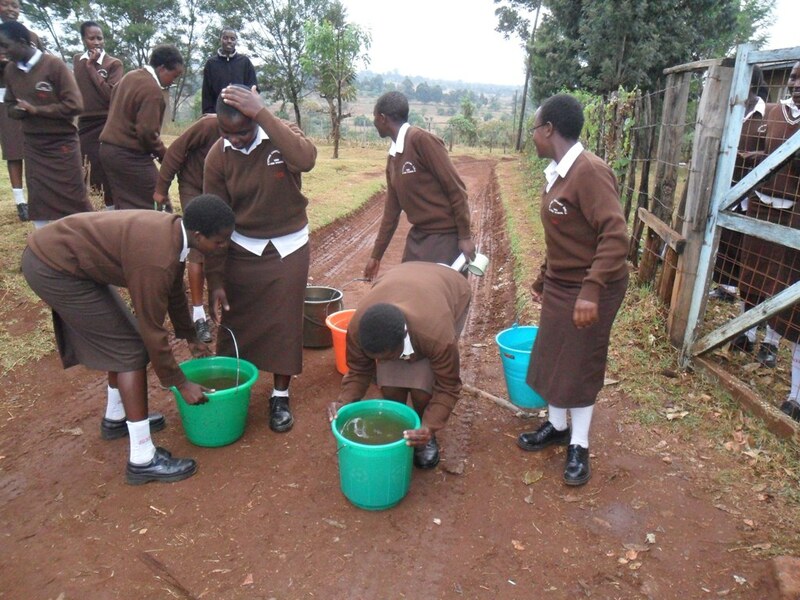 From the walk in the school compound they have a compost pit where they throw the litter and generally the compound looks clean. 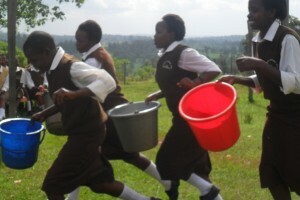 The girls don’t use bathrooms instead they bath in the river due to lack of water. 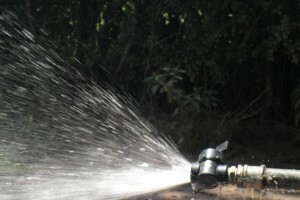 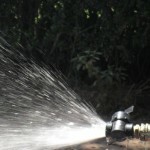 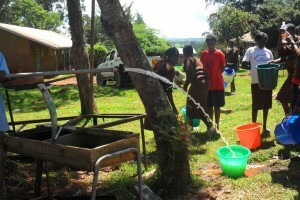 Water is greatly needed for drinking, cooking, general cleanliness, gardening and watering animals. 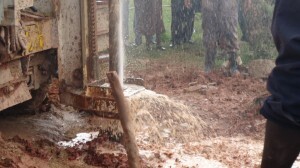 The school committee will be in charge of the water system. 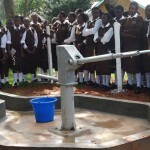 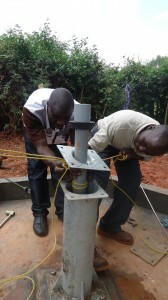 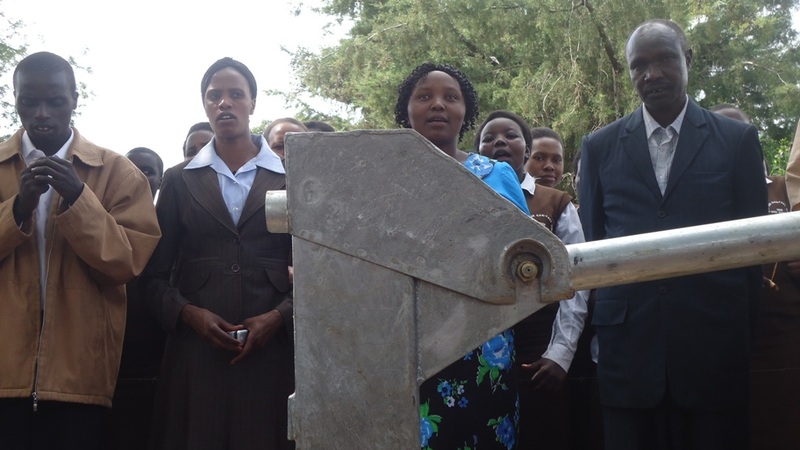 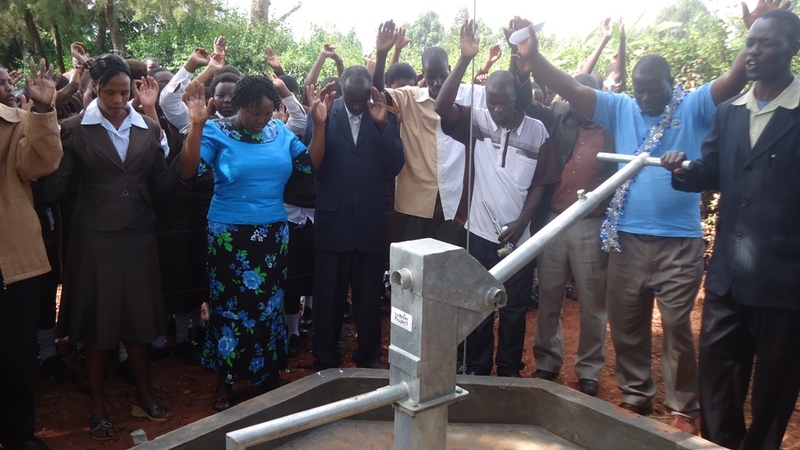 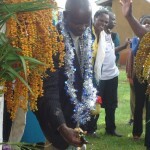 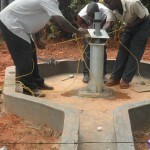 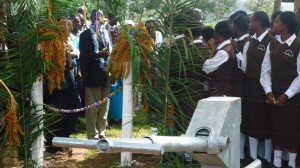 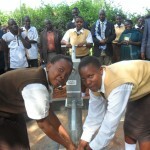 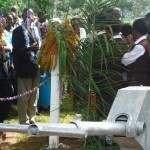 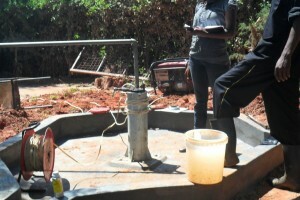 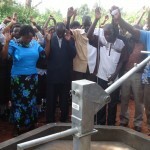 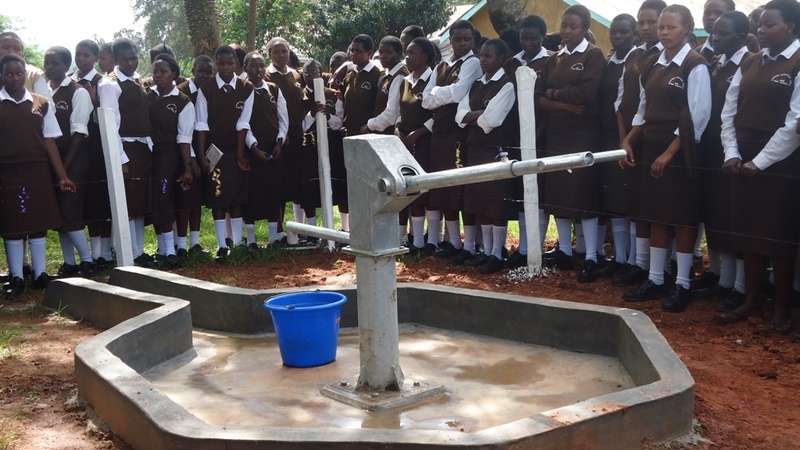 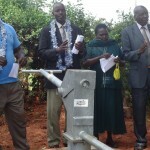 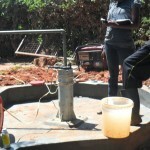 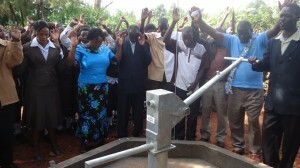 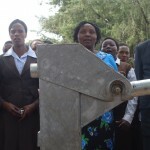 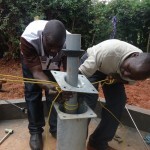 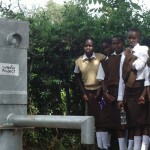 The pump has been installed at this site, and the project handed over to the school. 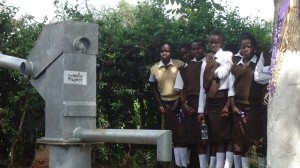 Great news coming from Kenya! Test puping has been completed, and the well pad has been constructed from concrete. 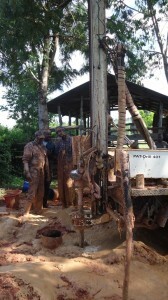 This now needs time to cure prior to installation of the pump next week. 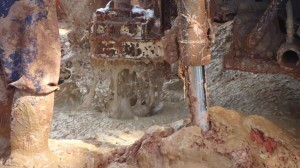 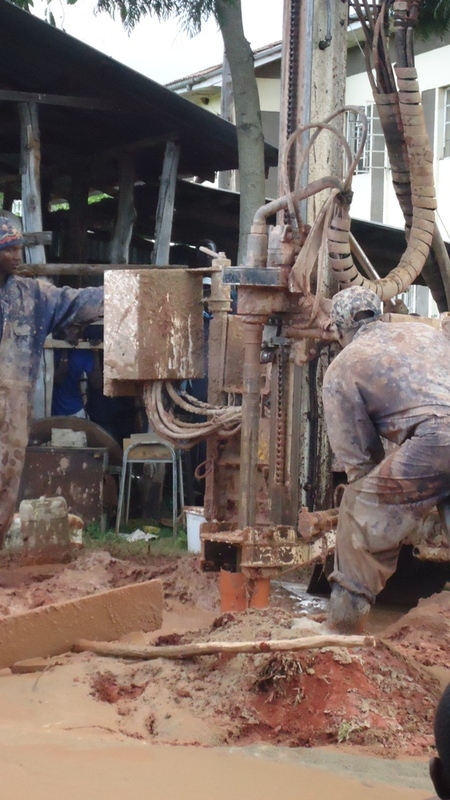 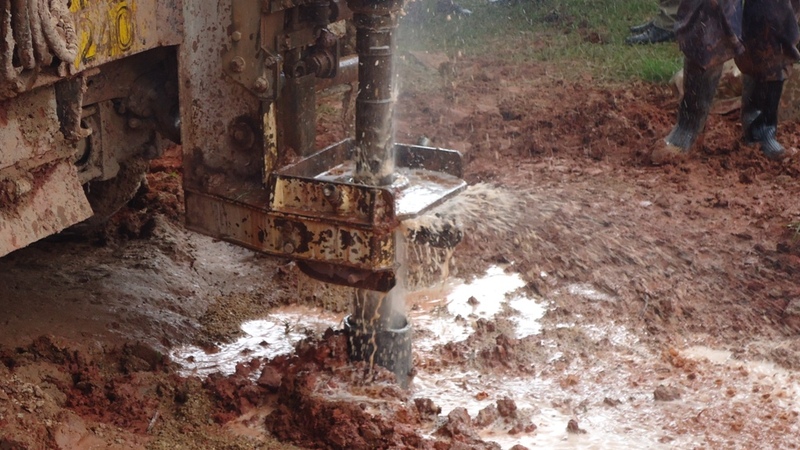 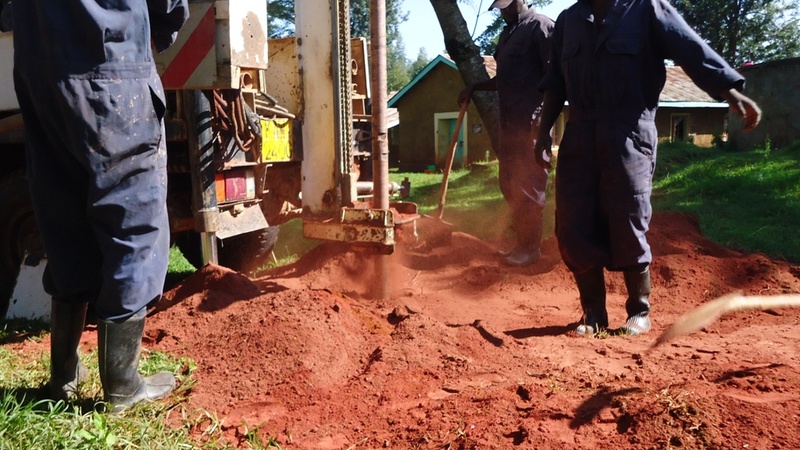 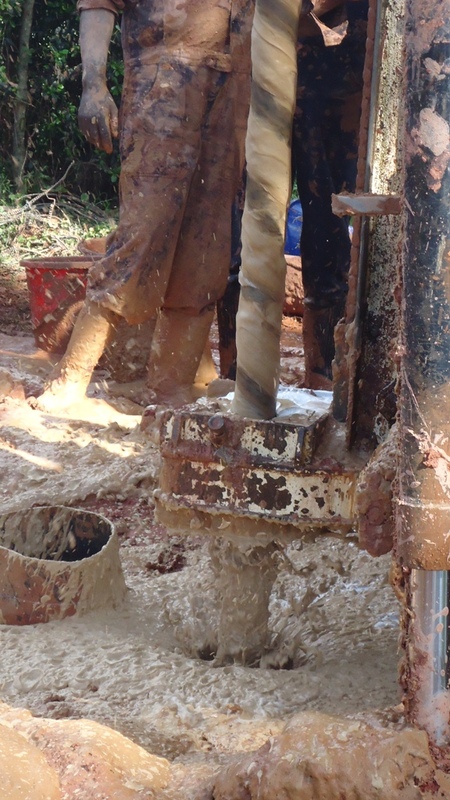 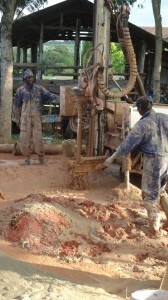 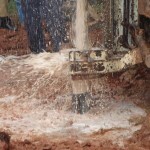 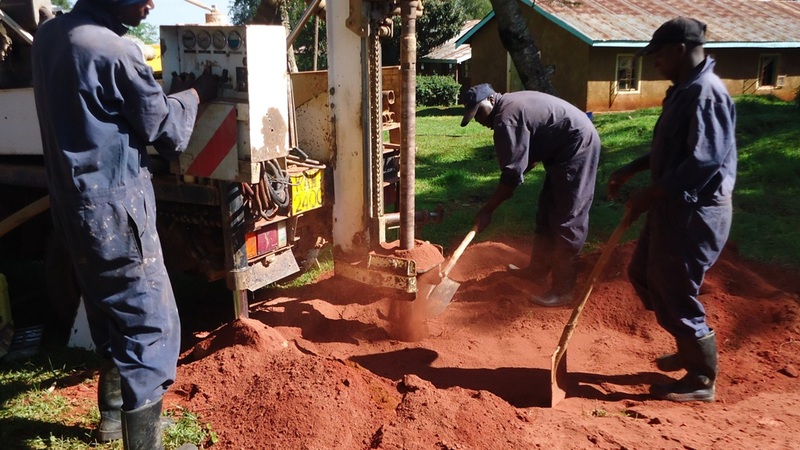 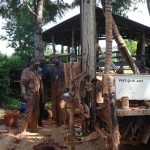 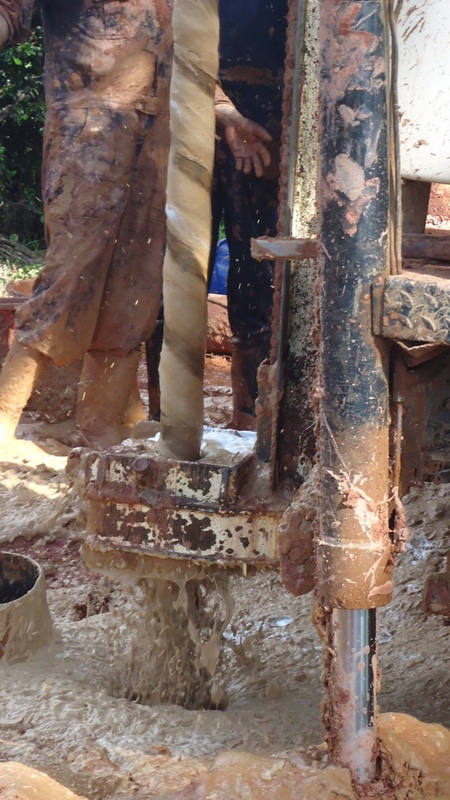 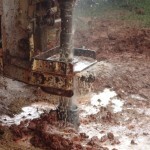 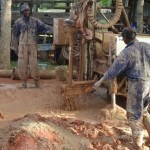 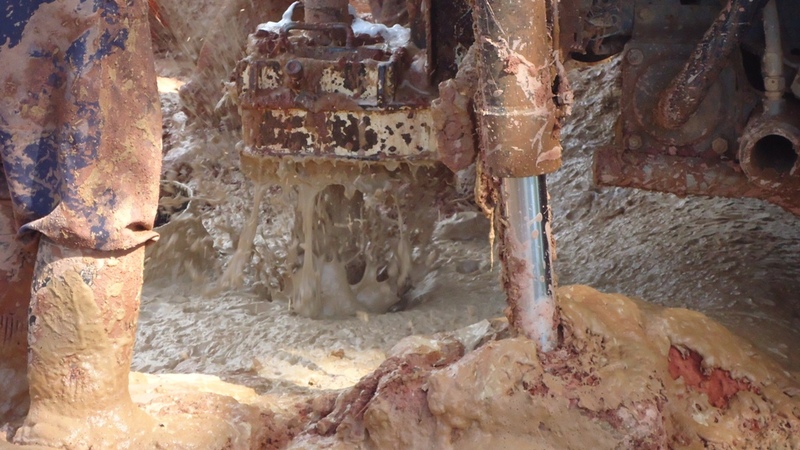 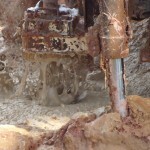 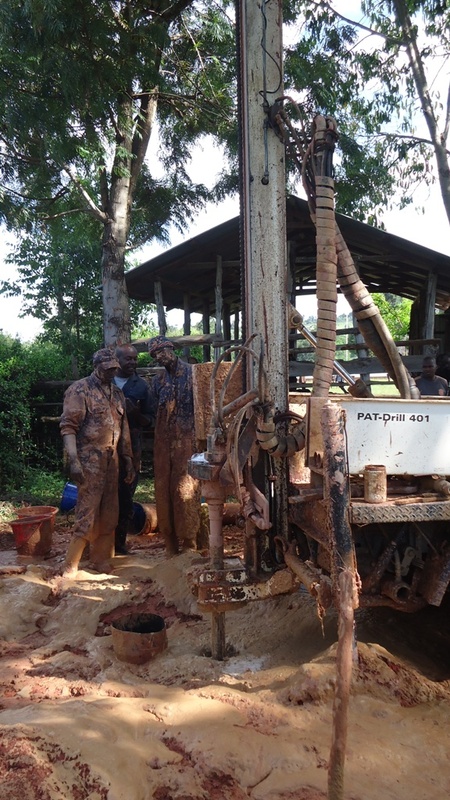 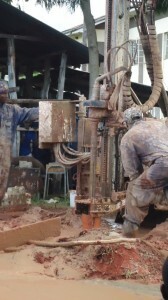 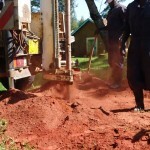 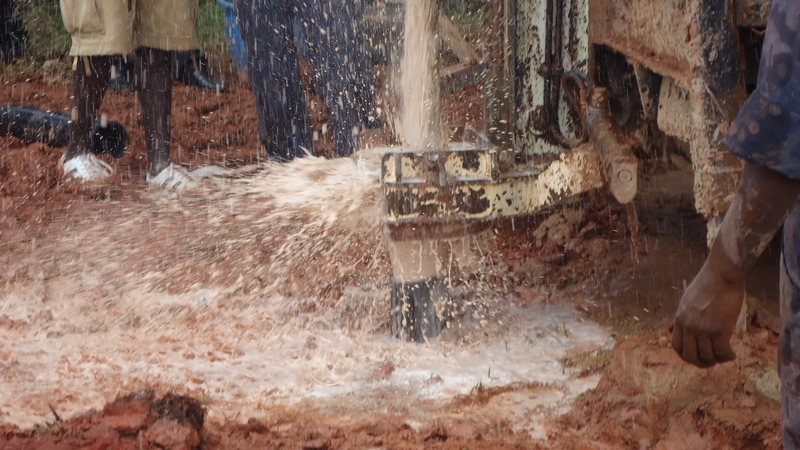 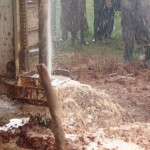 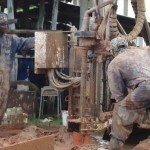 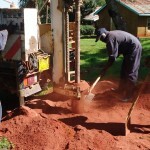 Project staff have completed the borehole drilling and have cased the source. They expect to have completed the concrete pad work in the coming few days. 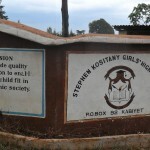 Bridge Water Project have been working with the girls at Steven Cositany, and send through these photos of the children learning about hygiene and sanitation. 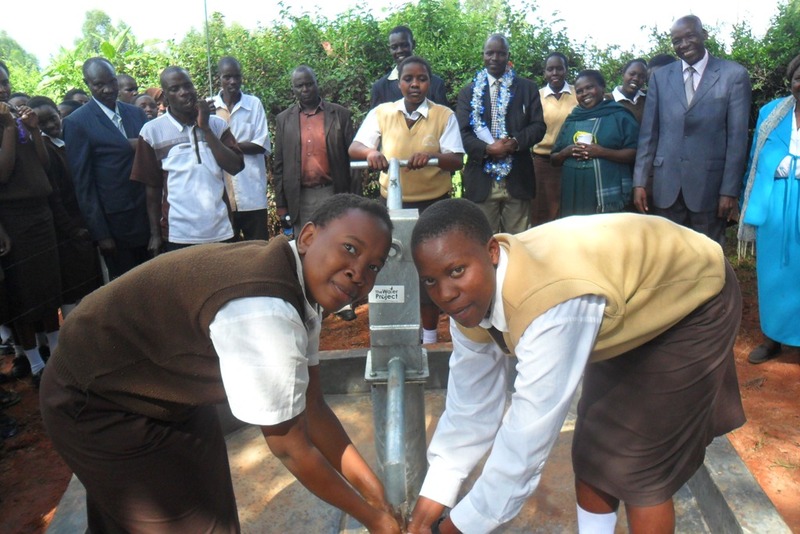 Our partner has sent through these initial photos showing the current water source at the school as well as some of the students. 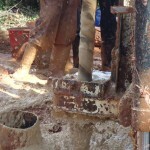 This project is now underway and this page will be updated with more content soon. 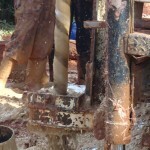 Do check back! 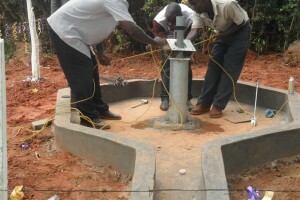 Our partner is preparing to get underway, as funds been received in the past 24 hours. 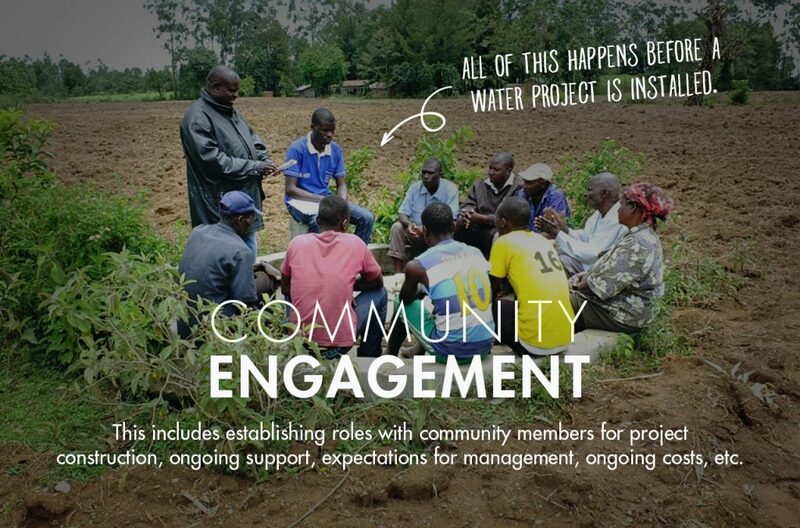 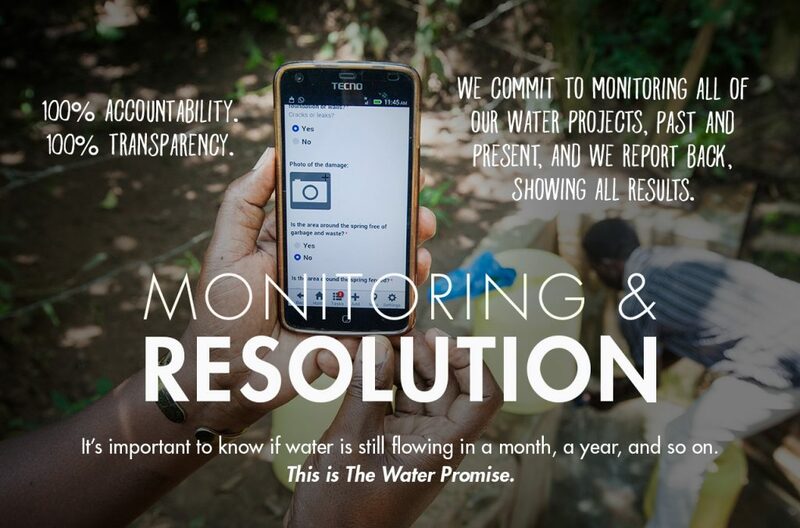 We are expecting photos and more information on project activities in the coming days.